Ah be warned. 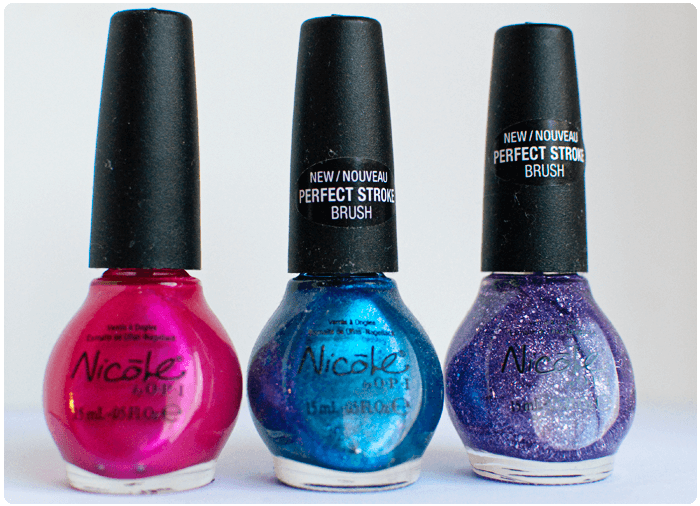 Not only am I going to list all the nail polishes I have BUT I am going to show photos of them as well. The list is going to be by brand and the photos will be in no particular order so if you see a color you want the name of, let me know. Not really all that much or as fancy as some of your collections but still! Shiny! Pretty! Glittery! I’m loving the purples right now! 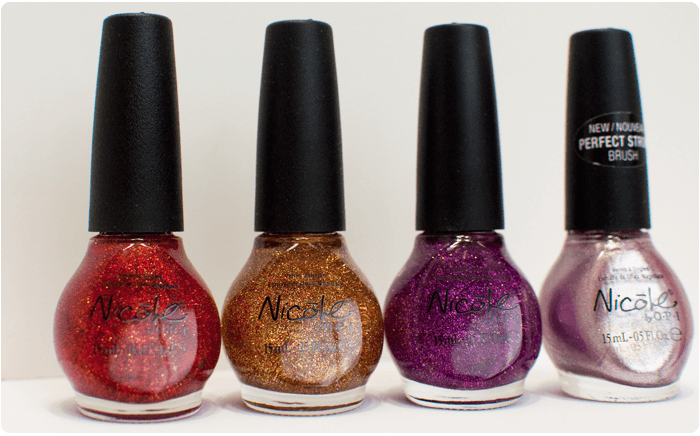 Especially the Nicole by OPI one, and the second one in your last Essie photo. 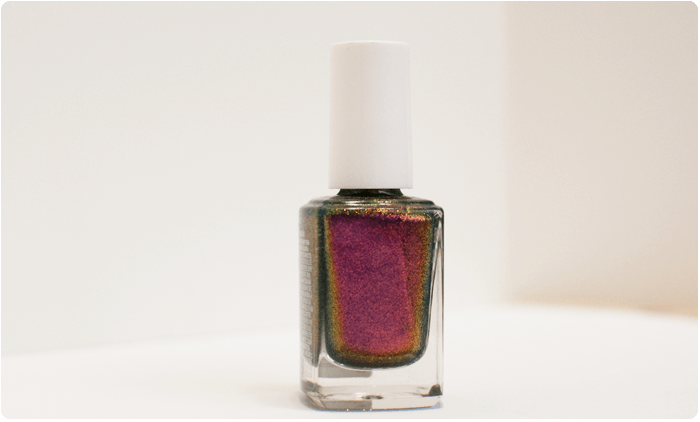 Do you have a go-to color? 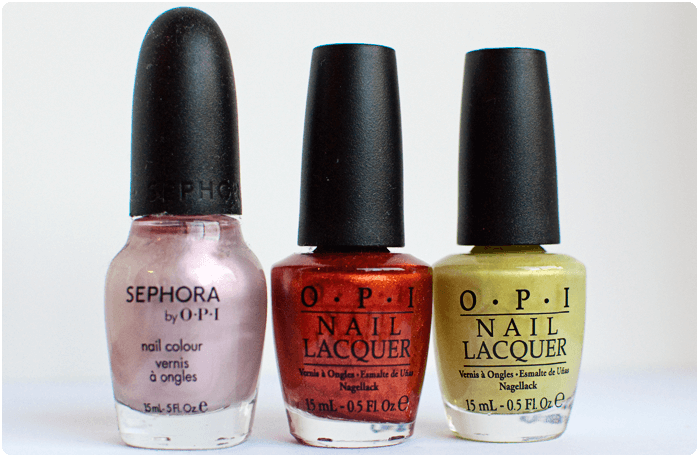 Mine is sort of like that 3rd bottle of Ulta, but a little more coppery. 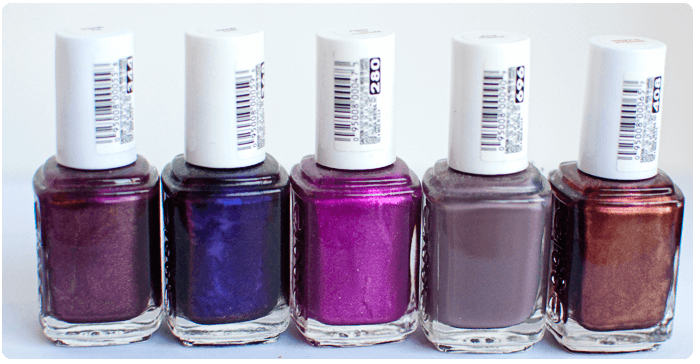 I don’t have a go-to but I do tend to lean towards the purples/reds a lot. 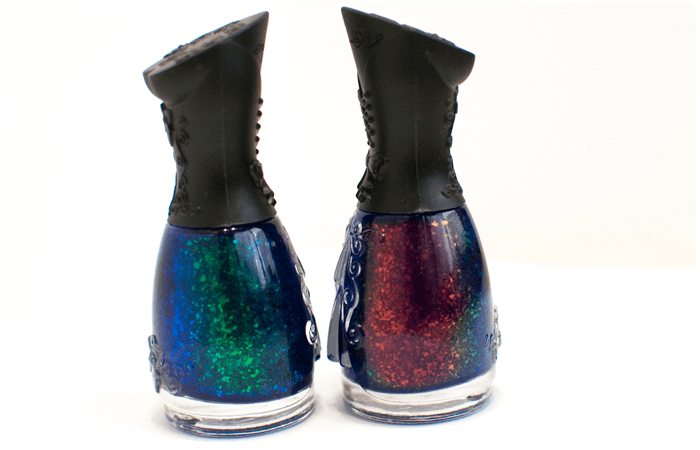 I also like layering the glitters over the black Zoya polish (Raven) to make them really pop. 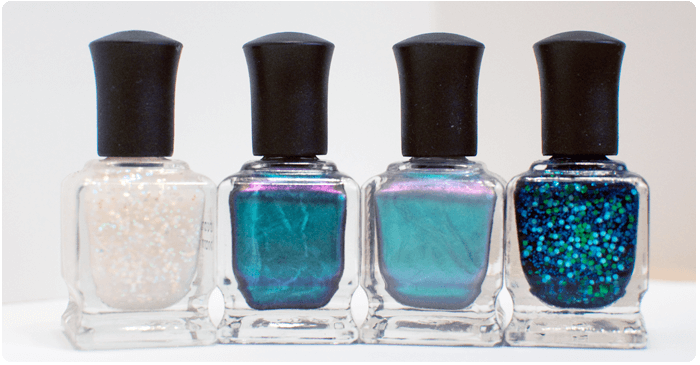 the deb lippman one- the last one in the last picture- looks just like rainbow connection by opi. i love it! 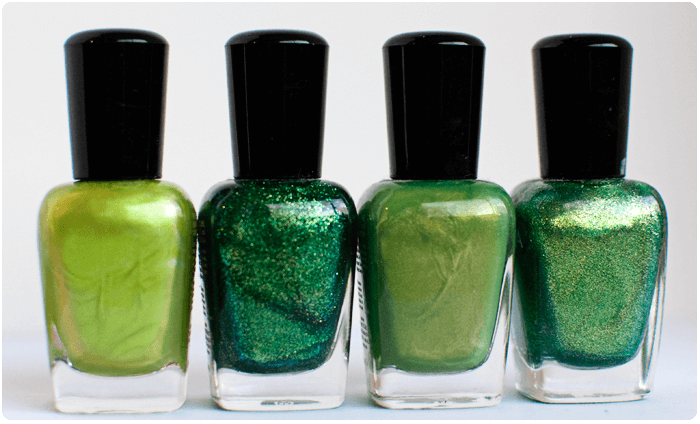 and i really like the two green glitters by zoya! just lovely. i love wearing green. LOL I went and found a site that did a VS between the two. Oh Love love love purple! I’m not a nail biter but my nails break VERY easily and peel so generally the more I wear polish, the stronger they tend to get. Sarah, I’ve been reading One Starry Night for a long time. I think this may be the first time I’ve ever commented, because I’m a little shy about commenting on people’s personal blogs if they don’t know me – but you’re one of my favorite photographers, ever! I always enjoy them. 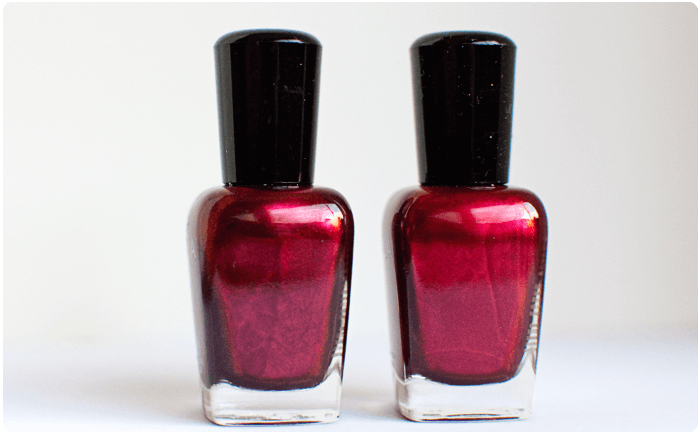 And since I run a nail polish blog, I had to come out of my shell and comment. 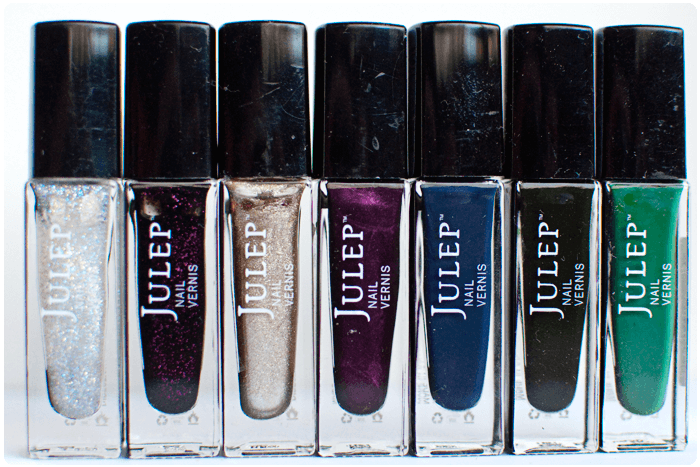 Have you ever thought about showing swatches? ^_^ I’d love to see those! I would love to do swatches but 1. not sure how to do it PROPERLY and 2. I don’t have pretty nails / cuticles. If you ever decide to venture that way I would be more than happy to help you with what I have learned and also point you to some great tutorials. Seriously, I don’t mind a bit! :) It’s easy to get your cuticles in good shape, and same goes for your nails. OH that would be AWESOME!!! Okay… WOW! I am so impressed by this. I have to confess… I’m terrible at painting my own nails. I tend to leave my fingers natural and I indulge in pedicures when I can. I’m in such a rut when it comes to color!!! I always go red… but I am loving your variety. My fav color in general is green and I adore the ones in your collection. It just takes practice! I always paint my right hand FIRST (as I’m right handed) which helps and clean up after with a wood stick. Pretty! 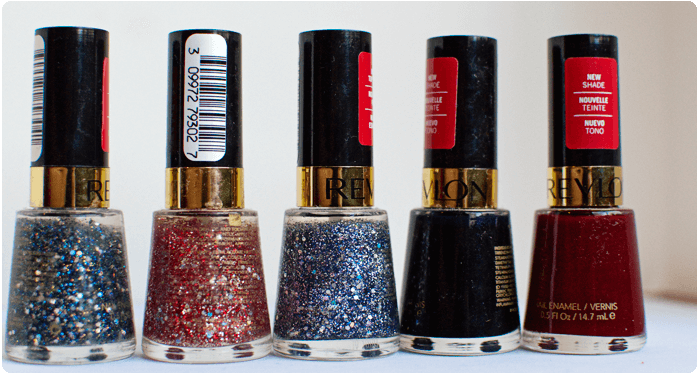 I’m a big fan of Sinful Colors and Sally Hansen too. 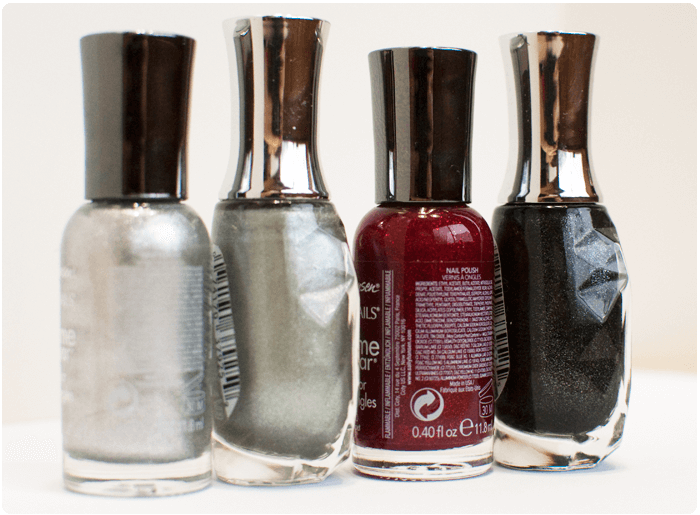 They are my go to polishes. Unfortunately my collection has been devastated by my enterprising kidlet, but I’m building it back. 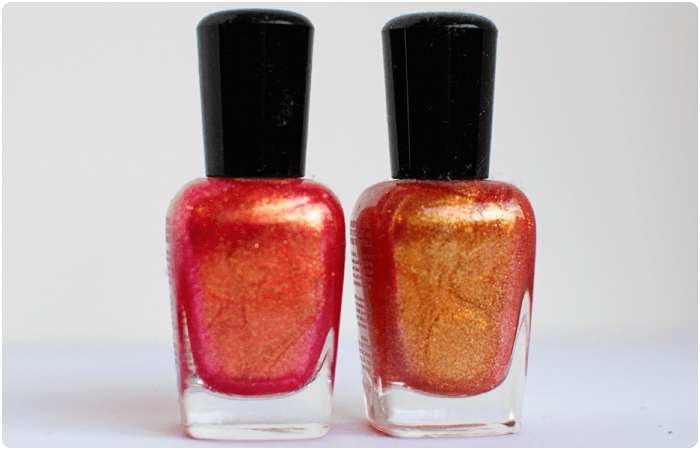 What is the name for the farthest to the right orange Zoya? 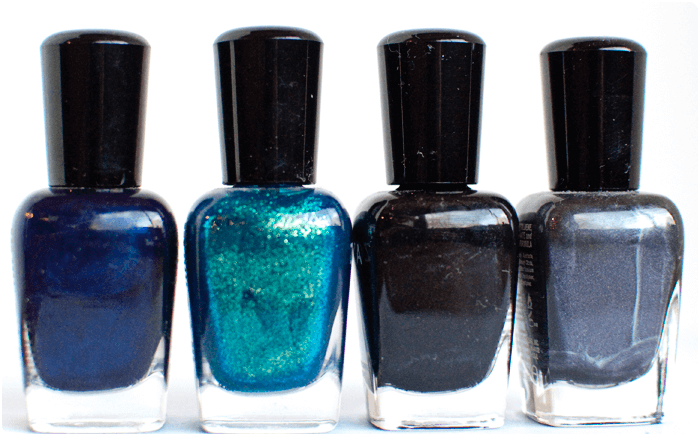 And the farthest to the right green Zoya? I LOVE those colors. So pretty. 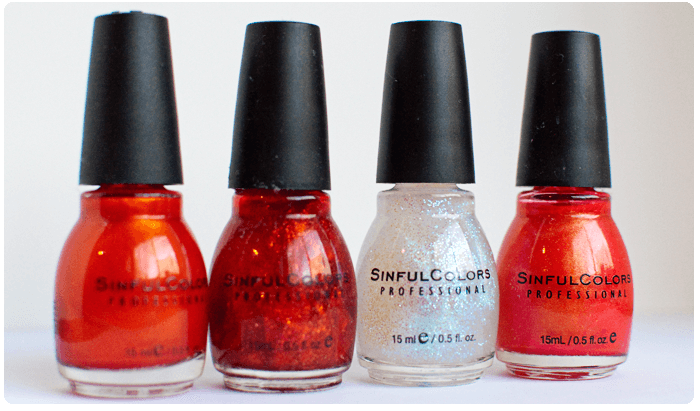 I have similar shades from Sinful Colors but those are just perfection. Droooooooooool. So much fun, glittery goodness! 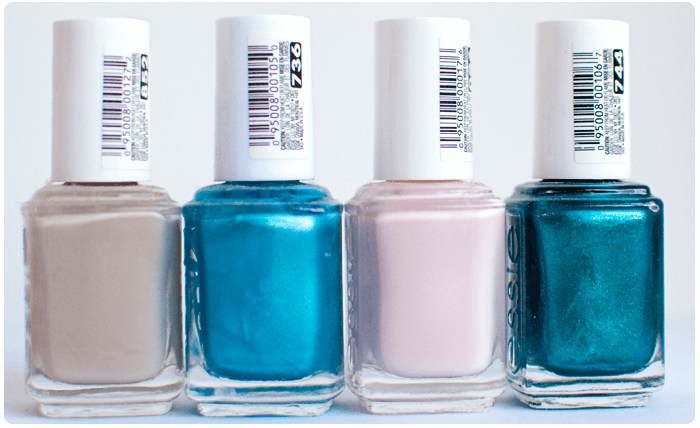 I have a few more Zoya’s coming this week, however I ordered BEFORE making this list so I have a second bottle of Ibiza coming. Trying to figure out what to do with it. LOL thank you!!!! 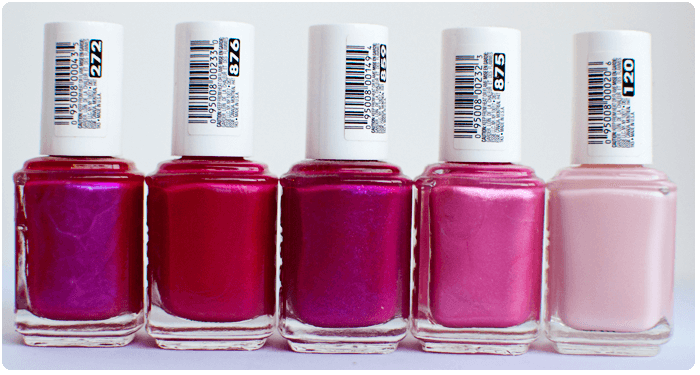 I try to shop the sales as MUCH as possible when it comes to cosmetics, nail polishes are really good about buy one get one free promotions or getting colors off-season. LOL minor obsession. 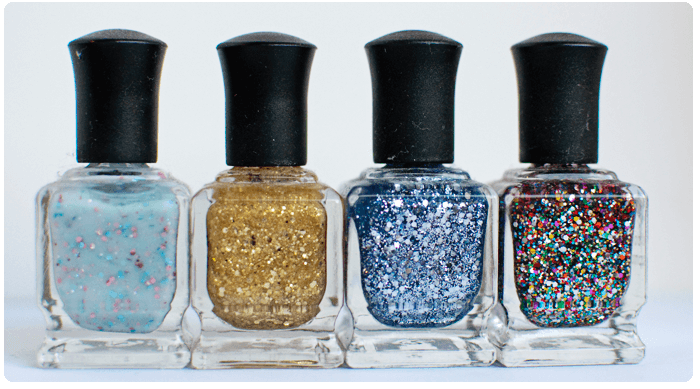 Tristan really likes the glitters so I’ll do a clear or the Happy Birthday glitter on a couple fingers or his big toes when he wants, he says it’s “pretty!”. OMG! I am jealous! I love those colours! I need more nail vanish now! Thank you! I got a few more this week so I’ll have to update this post soon lol. Jealous of all your pretty colors! 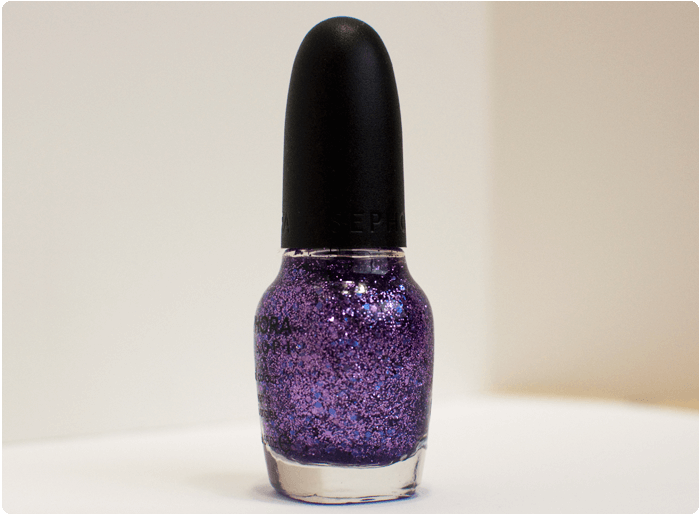 I have polish envy. My collection is about 8-10 bottles. Some of them I don’t even like. LOL! I have a lot more to add to this post actually. WOWWWWW you have some amazing polish!! 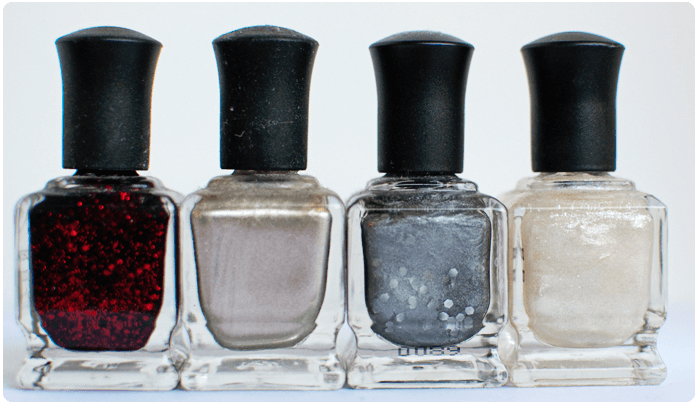 Are the 2 silver, center Zoya’s Luna & Trixie? Good eye! 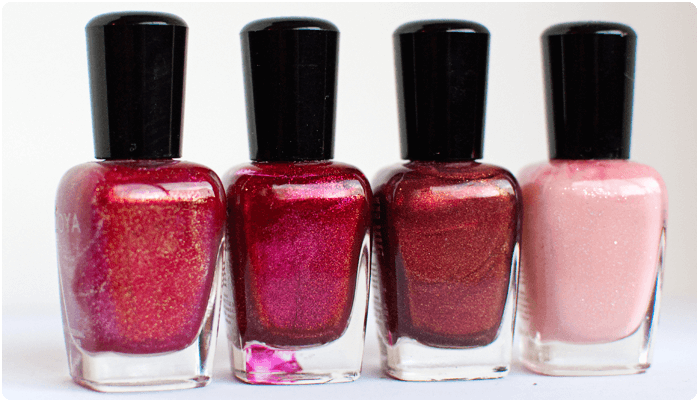 I actually have a sort of updated post here: https://onestarrynight.com/my-nail-polish-collection but to be honest, I have a LOTTTTT more polishes I just haven’t found the time (or energy lol!) to photograph / list them yet!